Do you start your day by whining about the insanely tiring activity of getting your kid’s teeth brushed? 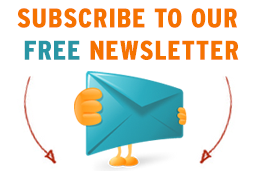 Do you dread the push & pull every morning? Well, if you do then here are 4 awesome hacks that will make brushing a no-fuss & ultimate bonding experience for you and your kid! Take them shopping for the brush & paste of their choice: Yes, it starts right here! Stores are flooded with colourful, jazzy brushing paraphernalia for the kiddos. Right form superhero brushes to fruity pastes, your little one has fantastic options to choose from and you must let them! When they make their purchases the feeling of ownership will manifest in them, giving them the reason to brush. Their superheroes will serve as great sources of inspiration for the little ones, who’ll give and do anything to copy their icons. Taste matters! With kids, things got to be looking good or tasting good and so don’t compromise on the toothpaste flavours. For eg, one of the companies that really works to appeal to the junior market is Colgate. Bubbly fruity flavours like berry, strawberry, orange, bubble mints, you name it, it’s there! These flavours will bring a yummy twist to brushing. While brushing, tell them stories about how superheroes brush every day, it will keep them hooked! 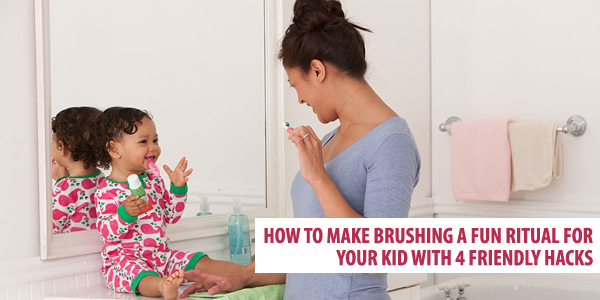 Brush together: Well, as a parent you know who is your biggest copycat! Of course, your little one! Kids are a reflection of parents and as parents, you should leverage this to the fullest in brushing. They’ll watch you brush and try and imitate you. This is the best time to bond too. Making funny faces & sounds and creatively keeping them engaged will make brushing a ritual that both of you look forward to. Children will do exactly the opposite of what you tell them to do! This is not news to parents. So, why should brushing then be different! By allowing them to take charge, you reduce a lot of tugging and pulling. Give them the chance to show what they think of brushing as an act and when you do this, they feel you trust them which is a big deal. Once you’ve gained their trust, they’ll be comfortable to hand over the brush to you so that you can show them how it’s done! Hope these ideas are a breath of fresh air (pun intended and get you and your kid to enjoy brushing like any other fun activity!